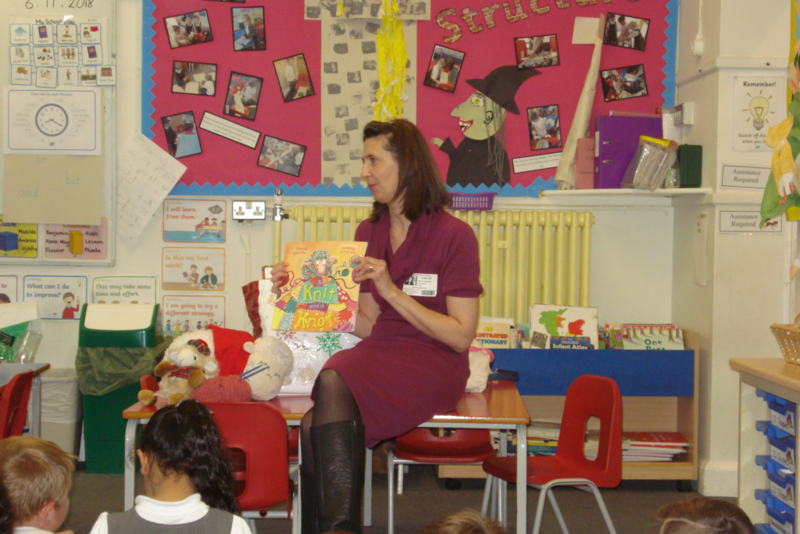 It was an exciting day for the children in the Foundation Stage and KS1 today as they were visited by author; Amanda Brandon. Amanda currently has three books published and shared different titles with different classes across the school. She inspired the children to become authors themselves by playing various spelling games based on the titles and acted out parts of the stories. The children had the opportunity to ask Amanda questions about the process of her writing so that they could apply similar techniques when writing themselves. After school Amanda held a signing session for anyone interested in buying one of her titles. Meanwhile, in the downstairs hall, Phil from ‘Rock Steady Workshop’ held another music session where the children rocked out with various instruments. The sounds from the hall are improving every week and the children are thoroughly enjoying developing their skills on the electric guitar, keyboard, bass and drums. Meanwhile, the children in Year Two painted their poppies and the remembrance theme continued as Miss Ellacott hosted an assembly in KS2 where the children were told about the work of war artists and heard examples of war poetry. ← Fireworks & Feathered Friends!